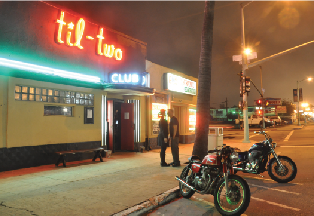 Tower Bar owner Mick Rossler picked up this location (formerly the Beauty Bar) in 2010, restoring it as close as possible to the likeness of the original Til-Two Club circa 1948. Now it’s a friendly neighborhood hangout that comes alive many nights with comedy, a kitchen, and live rock and punk shows. Tuesday, August 6, 8:00 p.m.